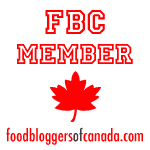 Welcome to my first recipe post in my “From Garden to Table” series. Here is the first thing I cooked with the rhubarb from my garden. I’m starting with an easy and fast recipe, you can have it ready within half an hour. Quite honestly it’s not the most appealing to look at, but it is delicious. 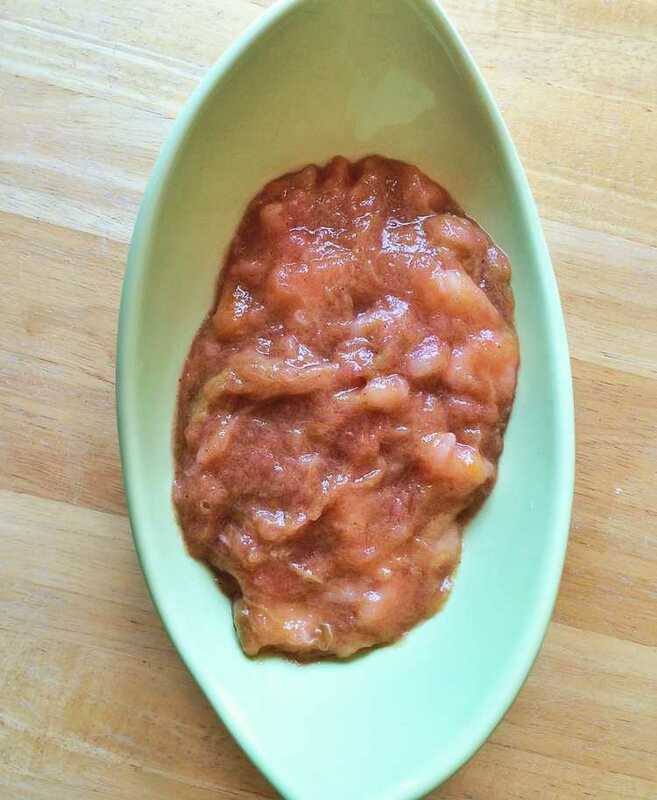 I was so excited to finally pick my rhubarb last weekend that I had to immediately cook it. The sauce was gone in a couple of hours! Now, rhubarb is not a plant typically found in most Italian gardens. I had never cooked with it but was curious about it when I would see those long red stalks in the markets each spring. As I love the challenge of discovering new ingredients I bought my first bunch a few years ago and researched recipes. I learned that rhubarb is actually a vegetable but most often used in sweet recipes. The first thing I made was a rhubarb apple crisp. My son loved it! Well, that was enough to convince me to plant it in my garden the following spring. You see, at the time (I’ve probably mentioned it a million times) he was quite the picky eater and that motivated me to experiment with different ingredients and recipes. The wonderful thing about rhubarb is that it is a perennial so you simply cut it down in the fall and it will grow back each spring. Even better! You just have to give it enough space as it expands and can take over your garden as the years go by. 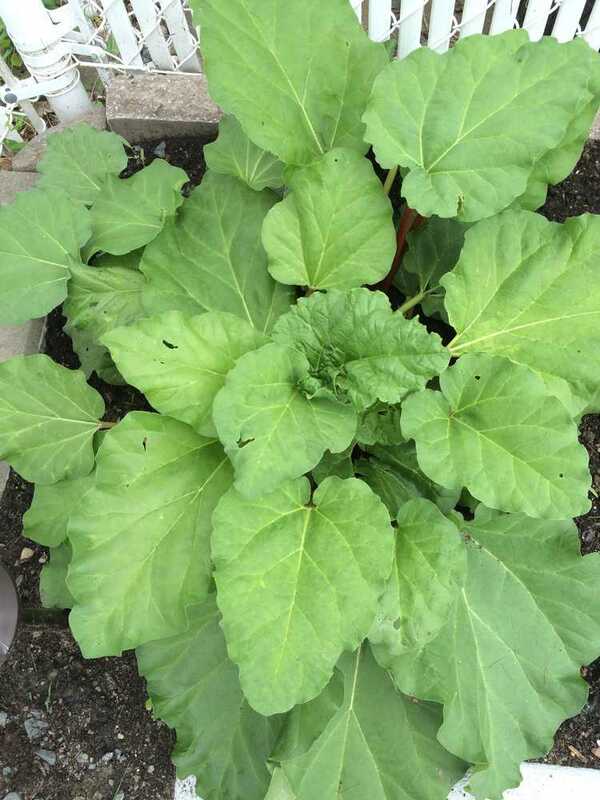 You also need to know that unlike the leaves on certain other plants, rhubarb leaves are quite toxic. Rhubarb has many health benefits: it is a great source of fiber as well as vitamins A, C and K and it is surprisingly one of the best plant sources of calcium. So, eat your rhubarb! 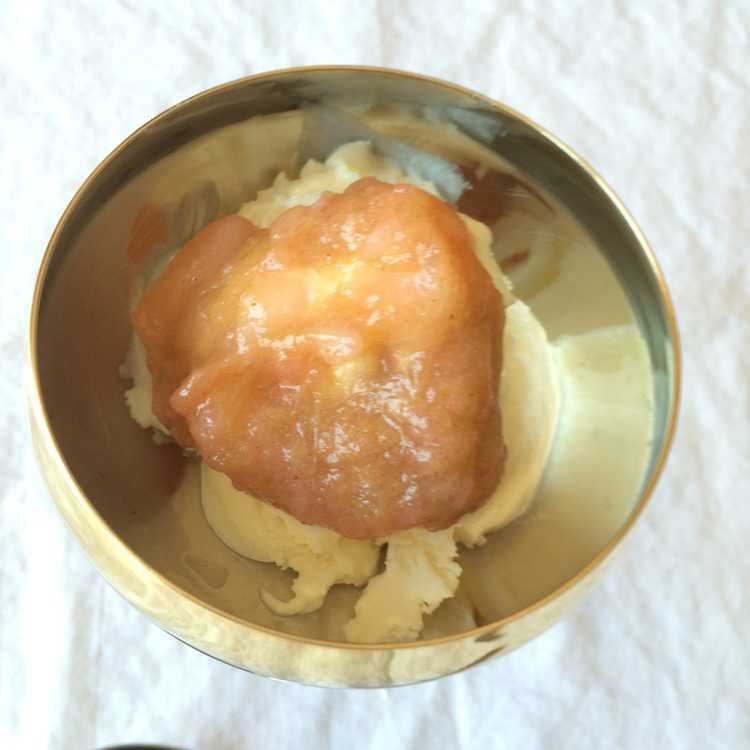 This rhubarb apple sauce has become a favorite. I’ve also made it with strawberries instead of apples and it’s just as good, but I happened to have apples on hand this weekend. You can also vary the ingredients used to flavor your sauce. I went with orange rind and a dash of cinnamon. You can add more cinnamon, vanilla, maple syrup or even ginger. I also don’t have much of a sweet tooth and you may adjust the amount of sugar according to your taste. My son gobbles it up on it’s own but you can spoon it on ice cream if you want to serve it as a dessert. It’s also delicious in a yoghourt parfait topped with granola. Oh, by the way, I have a great granola recipe for you too! (https://mangiabedda.com/2015/05/08/homemade-granola/). The first stalks I picked were fairly thin so I made a small batch of sauce, it reduced down to about 2 cups. So I encourage you to double or even triple the recipe. You can keep it stored in the fridge for a few days or if you’re interested in making a large batch you can can it so you can enjoy it throughout the year. I have also tried freezing the rhubarb when I’ve had an overabundance. Simply wash and dry the stalks well. Cut into 1 inch pieces and store in freezer bags. 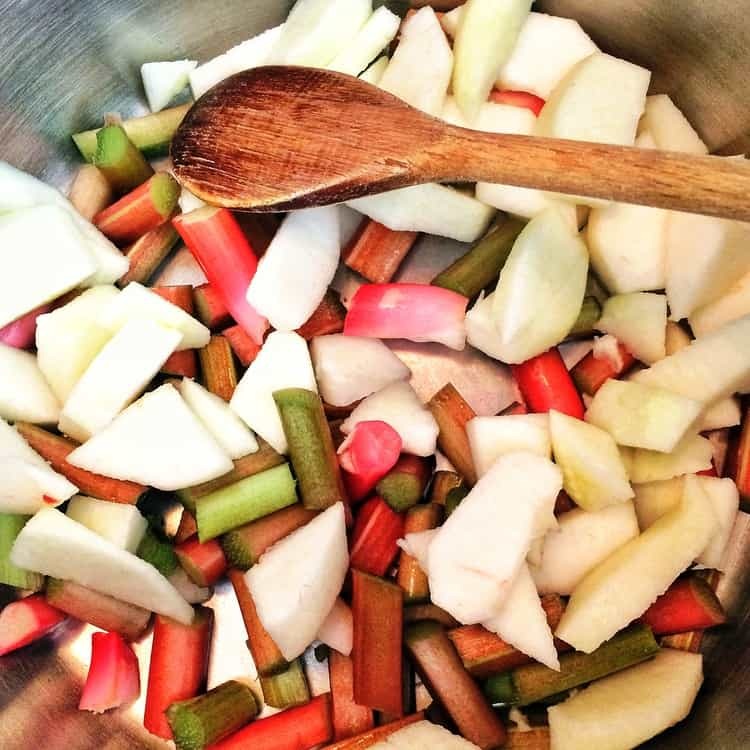 You can then make rhubarb apple sauce or use in other recipes such as crisps, pies and muffins. As you can see, it is a great addition to your garden. If you don’t have a rhubarb plant, now is the time to head to your local market or grocery store as it is readily available. I’ll be posting more rhubarb recipes soon! 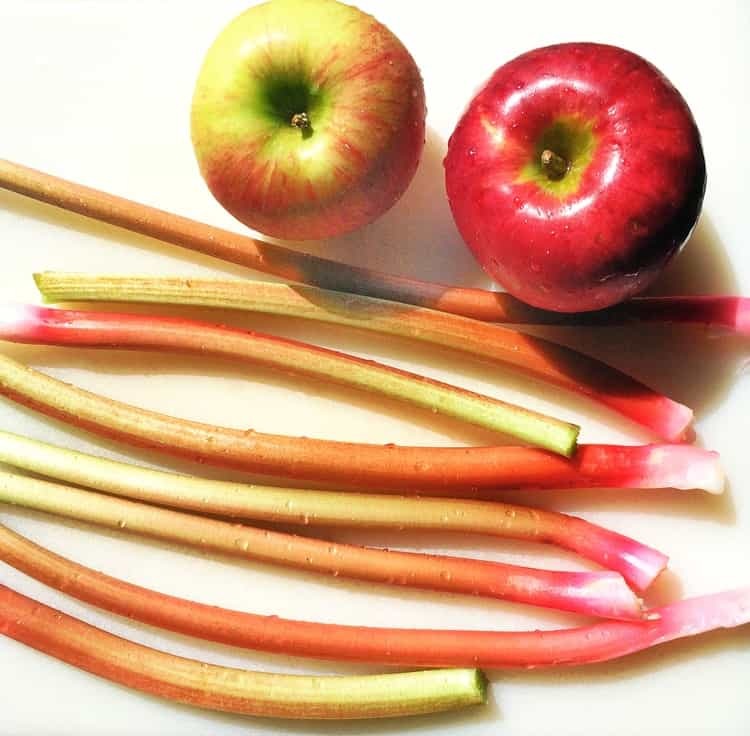 Wash your rhubarb stalks and cut into 1 inch pieces. Peel and core apples and slice. If you like a chunkier sauce, cut apples into larger chunks. Slice thinly if you prefer a smoother sauce. Add all ingredients in a sauce pan over medium heat. If the mixture begins to stick in the first few minutes of cooking, add 1 or 2 tablespoons of water. 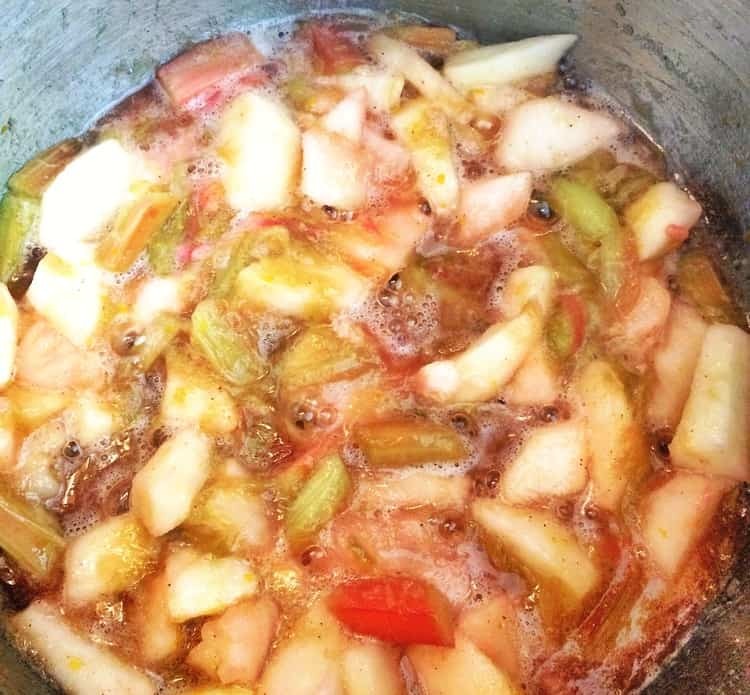 Cook for about 20 minutes, stirring often, until the fruit has broken down and has thickened. « From Garden to Table: Welcome to my garden!